The AC25 W (White) from JBL is a 2-Way loudspeaker with dual 5.25" LF drivers. 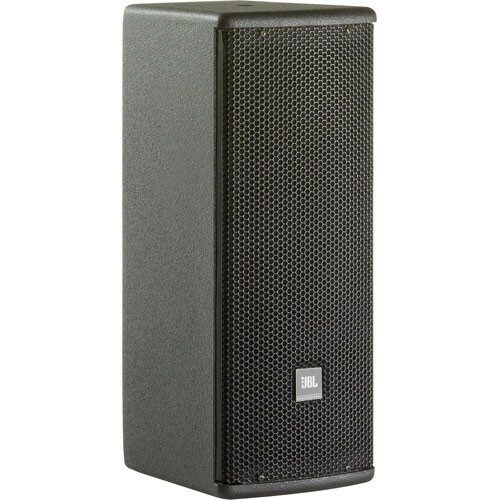 These speakers have broad dispersion angles making them easy to set up appropriately and are ideal for use in performing arts facilities, theatrical sound design, auditoriums, houses of worship, clubs, and themed entertainment venues. This speaker can handle up to 450W of program power and has 90x90° bandwidth. Dual Neutrik NL4 connectors plus screw terminals make it simple to add this speaker to your system. The AC25 W has attachment points for the optional U-bracket. Box Dimensions (LxWxH) 16.5 x 11.0 x 10.0"
AC25 W 2-Way 5.25" x 2 Loudspeaker (White) is rated 5.0 out of 5 by 1. Rated 5 out of 5 by Anonymous from Awesome speakers! JBL is a great product for anyone wanting quality sound for whatever you're getting speakers for. I highly recommend them to anyone.